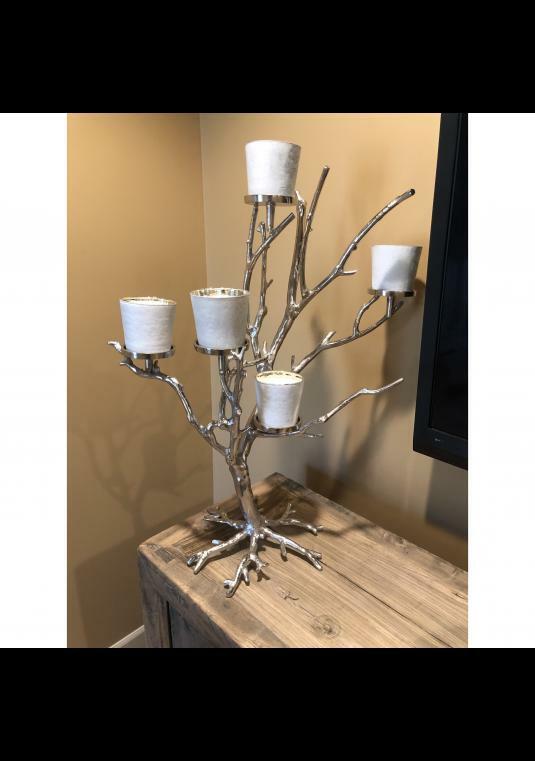 Make a statement with this beautiful Centerpiece. 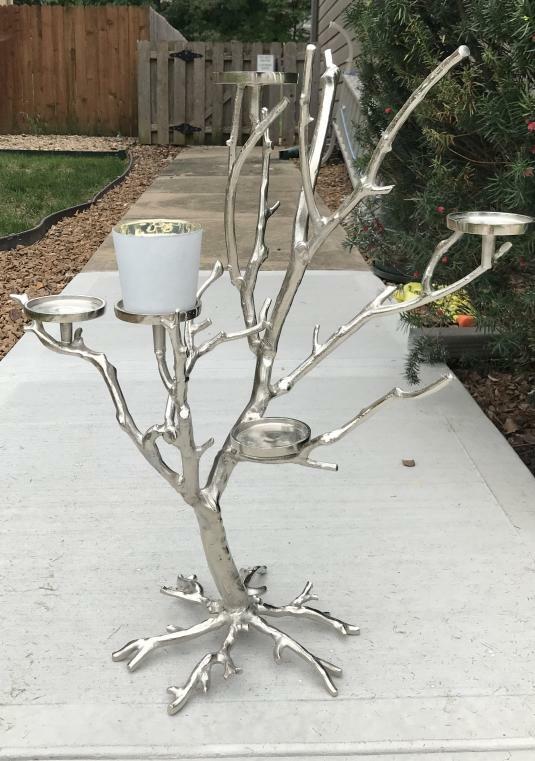 Aluminum branch texture (Silver) w/5 white candle cup holders per tree. Four available at $140 each. Essentially brand new used once at my daughter&#39;s wedding.